A luxury villa situated in a very peaceful surrounding. From the villa you can walk straight into the woods. The house is a fine place to have a relaxed holiday. Wonderful hikes in the surrounding and thereafter to relax in the sauna and the jacuzzi. The Ardennes town Marche and Famenne can be found within 10km from the house. Nice house, quiet environment. Sauna and Jacuzzi are fine pictures correspond to the actual device. 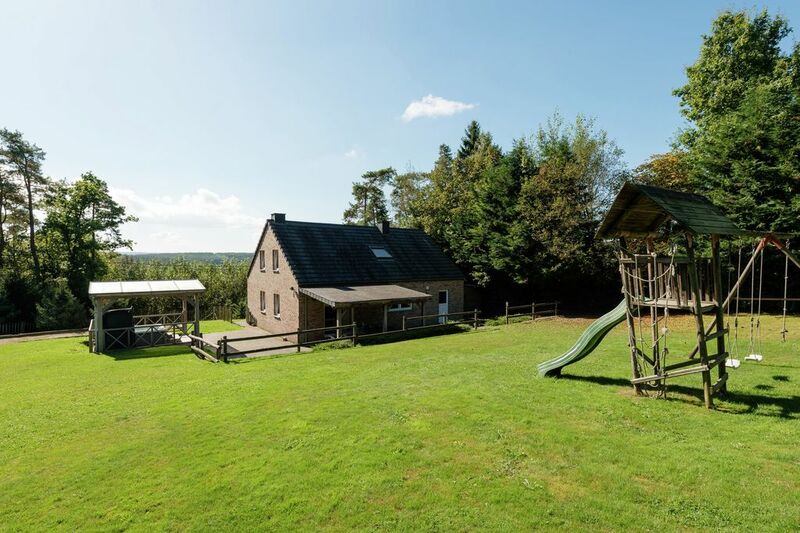 Very good house, quietly located, easily accessible, jacuzzi was out of order on arrival, was soon in order gemaakt.bedden above are too narrow, 140 cm.Compleet house, clean, good kitchen with all appliances. Ideal for a fun weekend away with friends. Spacious garden there, with good seating.